A topic we hammer on often and hard here at Cybrary.it is the critical shortage of Cybersecurity professionals and the growing demand for them. Guess what? 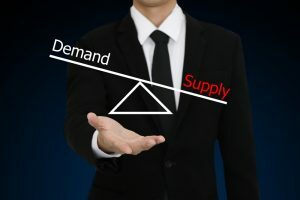 Things haven’t changed and the shortage and corresponding demand only continue to increase at a rapid clip during 2017 and beyond. We could probably make the same post week after week with a few tweaks and it would still be highly relevant. However, things are a little different heading into 2017, not the least due to some rather high-profile computer security incidents which transpired over the past several months. You’ve probably figured out the events I’m referring to before having arrived at this paragraph. Yep, the various hacks, security breaches, and information leaks that occurred during the recently completed U.S. Presidential Election have brought the issue of cybersecurity into crystal clear focus. It’s also shone a bright light on the woefully lax security practices of some rather exalted organizations. But this is part and parcel of the broader issue relating to the critical need for highly trained cybersecurity professionals. The demand for cybersecurity pros is expected to grow from $75 billion in 2015 to $170 billion by 2020. More than 209,000 positions remained unfilled in 2015 with a projected shortfall of 1.5 million worldwide by 2019. That’s a ton of open positions, but as we’ll examine shortly, there are some stubborn reasons why this situation exists. Turning our focus back to the U.S. marketplace, it’s worth taking a look at the regions and states with the largest demand for cybersecurity professionals. Here’s a great heatmap of the U.S. showing demand by state. For those of us in close proximity to the HQ of Cybrary.it in the great states of Maryland and Virginia, there’s a very healthy demand for cybersecurity pros in these states! Perhaps the most significant number related to the demand for cybersecurity pros is the cost exacted on companies and organizations as a result of a computer security incident. The average cost per breach over a three-year period reached $7 million in 2016. There are damaged reputations and loss of public trust that also need to be considered. The typical entry-level position for a cybersecurity professional is that of an Information Security Analyst with an average salary of $88,890 per year. Nice work if you can get it! A comprehensive listing of cybersecurity positions and salaries can be viewed here on cyberseek.org. The answer comes down to education. Demand may be reaching the boiling point, but cybersecurity is a complex field that requires more than just a solid grounding in IT skills. As a result, the barrier to entry is high with a B.S. degree as the minimum educational requirement. This situation is compounded by not enough children demonstrating an interest in entering STEM fields, coupled with an insufficiently rigorous grounding in mathematics offered to students in American schools. Given these obstacles, it’s nothing short of amazing that anyone goes the distance towards getting trained and hired for cybersecurity positions in the U.S. On top of all this, despite the trends in recent years to outsource as many tech jobs as possible, it’s logistically not feasible to outsource cybersecurity positions. That’s a very nice job security feature! The training shortfall and do you really need a degree? Finally, we come to the fly in the ointment which is education. More broadly, we can label this as training as it doesn’t necessarily imply education with a college degree as an endpoint. We’ll get to a little secret regarding degrees and cybersecurity shortly, but for now, let’s take a quick overview on what’s required and where to get trained. Polling of cybersecurity professionals currently working in the field provides some eye-opening and depressing stats: many cite severe skills shortages across the board with respect to IT security within their organizations. Many also cite lack of on-going training within their organizations to increase and improve their current skillsets. It’s difficult enough to get people trained initially in cybersecurity, but staying current on the latest advancements once hired is just a challenging. Don’t ever think that you can lay back and kick up your feet once you’ve landed that high-paying job. That’s a sure recipe for washing out of your career early! And before we move on to how and where to get training, it’s important to highlight a little-discussed but crucial contributing factor to the shortfall of qualified professionals: a glaring lack of diversity. Not enough women and minorities are entering the cybersecurity field greatly reducing the number potential candidates to fill all those open positions. Reducing this training gap is the core principle upon which Cybrary.it was founded. Getting in a mention of Cybrary.it is more than perfunctory. When it comes to getting a thorough grounding in not only IT skills, but more specialized areas such as cybersecurity, the training on Cybrary.it is tough to beat. This training can either serve as the foundation to build your cybersecurity career on or used as a supplement to the skills you already have in order to obtain the most in-demand IT and cybersecurity certifications. And as for a B.S. degree being absolutely necessary to get your foot in the door to a high-paying cybersecurity job, well, that may not always be the case. With the demand so high and the shortage of qualified applicants having reached a crisis point, some employers are beginning to relax the degree requirement. We may be returning to an earlier time when it was still possible to work your way up once you had your foot in the door. It’s always possible to work towards a B.S. degree in cybersecurity while working in the industry. It requires a high degree of discipline and energy, but with enough determination and a strong belief in yourself, it’s definitely possible. Perhaps the biggest cybersecurity threat we currently face is the critical lack of highly-trained and experienced cybersecurity pros. And what better time than the beginning of a new year to start your training in the exploding field of cybersecurity than right here on Cybrary.it!